Arts Ballet Theatre of Florida, under the Artistic Direction of Vladimir Issaev continues to present the program “Arts Ballet Goes to School,” which offers free demonstrations and performances to the public schools of the area. Since the beginning of the school year “Arts Ballet goes to School” visited David Lawrence Elementary School and Greynolds Park Elementary School in N orth Miami Beach. We are proud to announce that on November 4th it will be held at the Aventura Arts & Cultural Center for the students of the, Aventura Charter School. We are very excited because this is a new and great opportunity for children to see the program inside the beautiful new theater. The program will continue visiting public schools thereafter through the remainder of the year with the goal to reach 7,000 children in the Elementary Level. Highlights of the program include the participation of the children interacting with the dancers. Young boys get a chance to try turns and jumps and some of them will be asked to try lifting the beautiful ballerinas. The girls will try stretching exercises, learn the basic positions and try on “pointe shoes” with the help of the Ballet Mistress. The program concludes with a question and answer period. 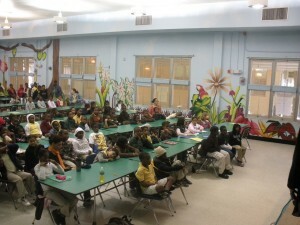 As the program has kicked off, the interest in the community has been increasing tremendously. Many children have no contact with the arts and culture. 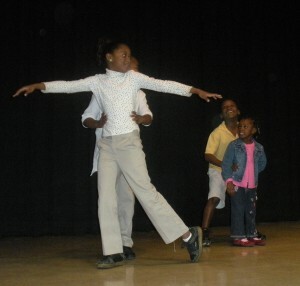 Arts Ballet Theatre is very happy to provide this program for free to these children. Some of the children also receive the benefit of free tickets to the performances of the season. The purpose of these demonstrations is to increase the awareness of the art of ballet in the community and create younger audiences for the years to come. This program has the support of The Miami-Dade County Department of Cultural Affairs and the Cultural Affairs Council, the Miami-Dade County Mayor and Board of County Commissioners, The Miami Children Trust, The Florida Division of Cultural Affairs, Citizen Interested in Arts and The Target Foundation.